This post about how to make your own kitchen staples has been sponsored. 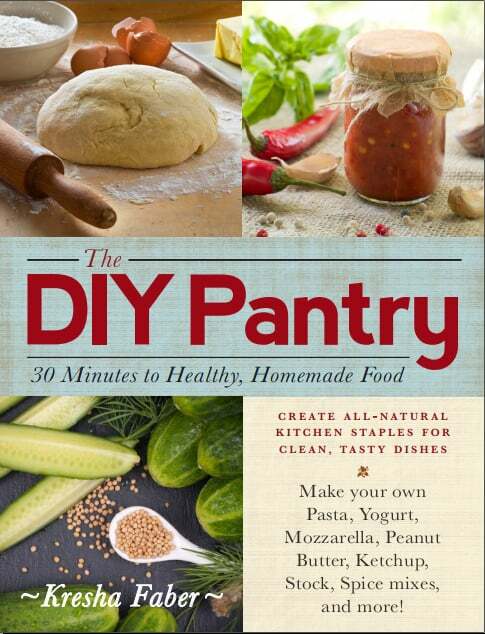 I received one copy of The DIY Pantry at no charge to facilitate my review. When I go to the grocery store I have a tendency to check out the ingredient label on a lot of the things I buy. I am always shocked when something as simple as tartar sauce has 30 ingredients. I have made it from scratch myself with only 6 so not sure what all those other things are in there! Probably not stuff I should really be eating. Now, don’t get me wrong….I have been known to come home with a bag of Cheetos or package of cookies so I am not all bean sprouts and tofu. But, I have been trying to eat cleaner and healthier and knowing how to make your own kitchen staples is a good first step. (affiliate link—>>>) The DIY Pantry: 30 Minutes to Healthy, Homemade Food is a great little book that can help you on your way to learning how to make your own kitchen staples. With The DIY Pantry, you can break free from processed foods and learn to make healthy, delicious meals without spending hours in the kitchen or breaking the bank. From artisan breads and aromatic seasonings to irresistible treats like Black-and-White Sandwich Cookies and Peppermint Patties, this book shows you how to stock your pantry with all the ingredients you need to make your favorite meals for the entire week. Best of all, each flavorful recipe can be made in fewer than 30 minutes, making them perfect for anyone looking to add more wholesome dishes to their repertoire. Filled with more than 150 natural, budget-friendly recipes as well as tips for storing your food, The DIY Pantry shows you that creating nutritious, homemade meals doesn’t have to be costly or hard work. The DIY Pantry is a simple cookbook designed with the sole purpose of teaching you how to make your own kitchen staples. It starts out telling you what sort of ingredients to stock in your pantry at all times (spices, oils, sweeteners, etc) and then moves into the recipes. The chapters are well organized in the table of contents so you can find things easily. The recipes range from simple condiments like tartar sauce, pantry staples like apple sauce, and more complicated projects like making your own pasta and taco shells. If you would find it in your pantry, you will probably find a recipe for it in The DIY Pantry. 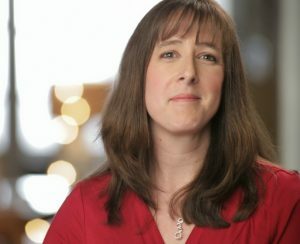 The author gives each recipe symbols for egg free, dairy free, gluten free, etc and a price point (how cheap it is to make). This makes it easy to fit into your budget and dietary needs. There are no fancy pictures or tons of descriptive prose in this cookbook. But you will find exact time requirements, nutritional breakdown and a star rating as to how hard the recipe is. Overall, I am very impressed with this cookbook and am looking forward to exploring some of the recipes. If you are interested in learning how to make your own kitchen staples, stop back by again over the coming weeks to see which recipes I share! Do You Make Your Own Kitchen Staples?